Don’t hesitate to call Magic Carpet Cleaning in Peckwater when you require deep cleaning service for your home rugs, carpet or upholstery. Our team of professional carpet cleaners is available for same-day and even weekend bookings. We use the latest machines and tools in the industry to deliver top clean results for all types of fabrics. Depending on your carpet fibres we can use either hot water extraction or dry treatment. 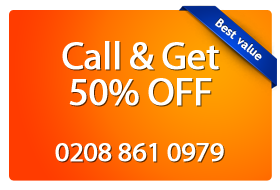 Call now on 020 8861 0979 to claim your free price quote and schedule your next booking with us. We are confident enough to offer you 100% clean guarantee as well! The former hunting ground for the kings has become a popular place to socialize in London. The offices and restaurants are decorated with fine quality carpets. The taverns and pubs that define Peckwater Estate NW5 need a certain hand in maintenance. The technicians of Magic Carpet Cleaning in Peckwater Estate are industry trained and the regular workshops helps them to understand the changes in the carpet cleaning trade and the best practices to follow in the business to keep the flag of customer trust sailing high. Hovering of carpets using hot water extraction technique will enable to remove the pet stains and various spills and marks can be dealt by using of specific products which will not only remove marks but bring the shine on the carpets back. Need reliable cleaning services for your home carpet, rugs or upholstery? Call Magic Carpet Cleaning now on 020 8861 0979 and get your cleaning price quote for free! Our helpful support representatives can assist you with your booking and guide you through the process. Meanwhile you can ask us more about our terms and conditions, equipment and products we use or any other question that you need answered. Furthermore, you can reach our team via our quick online booking form. Send us a message and we will call you back as soon as possible.